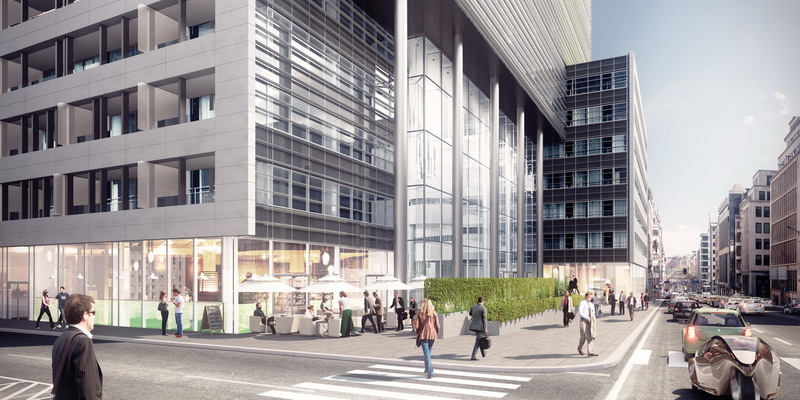 BSEF, The International Bromine Council, is happy to announce that its secretariat will be moving to a new address in January 2019 – rue Belliard/Belliardstraat 40, box17, 1000 Brussels – in the heart of the EU quarter. The new building offers an incredible, modern and comfortable working space, with high-tech solutions where BSEF can welcome its members and visitors. The new offices will be located on the 9º floor. In addition, BSEF will be closer to the European institutions and other stakeholders enhancing its communications and engagement on its policy and regulatory issues. BSEF will be moving together with Cefic, the European Chemistry Council, and its partner organisations of which BSEF is one. With the move, BSEF aims to reinforce its cooperation and interaction with the various chemistry, material and technology representative organizations as the voice and knowledge partner for the bromine industry. “After the first move to permanent offices in 2016, we are very excited to be embarking on a new journey with our colleagues from Cefic” says Kevin Bradley, BSEF Secretary General. “The new location will be a great opportunity to continue dialogue and engagement with EU policymakers and our stakeholders” he adds.